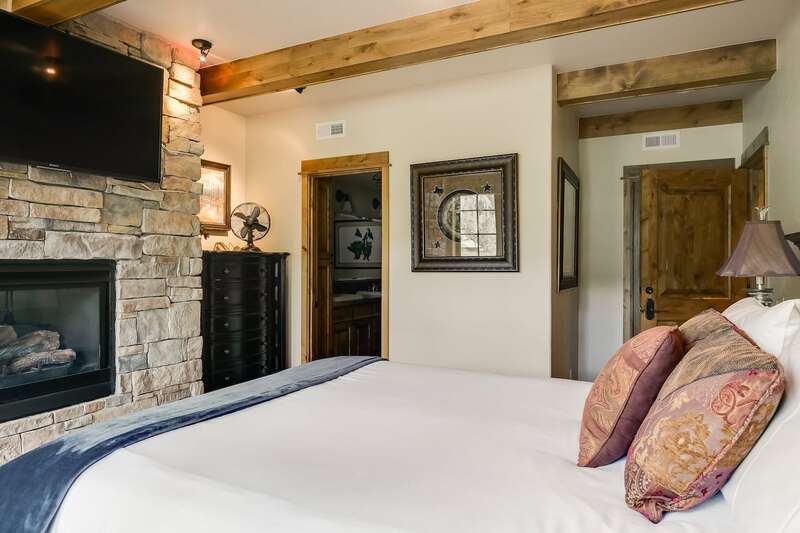 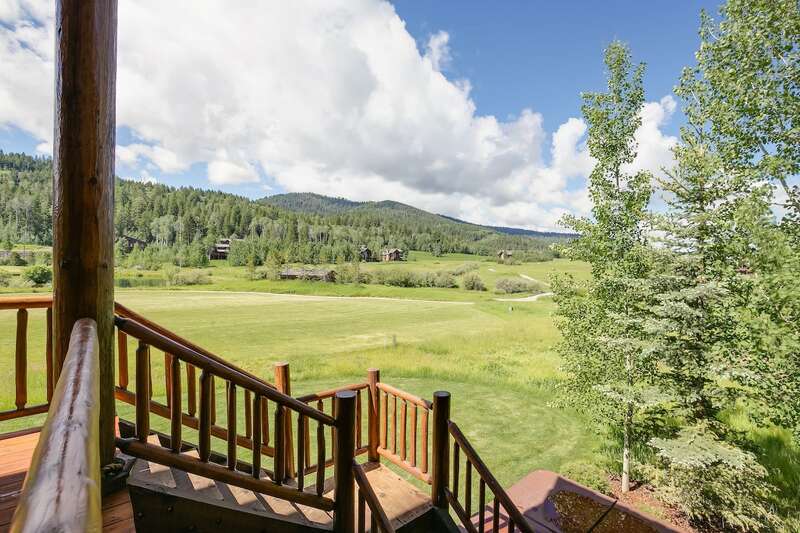 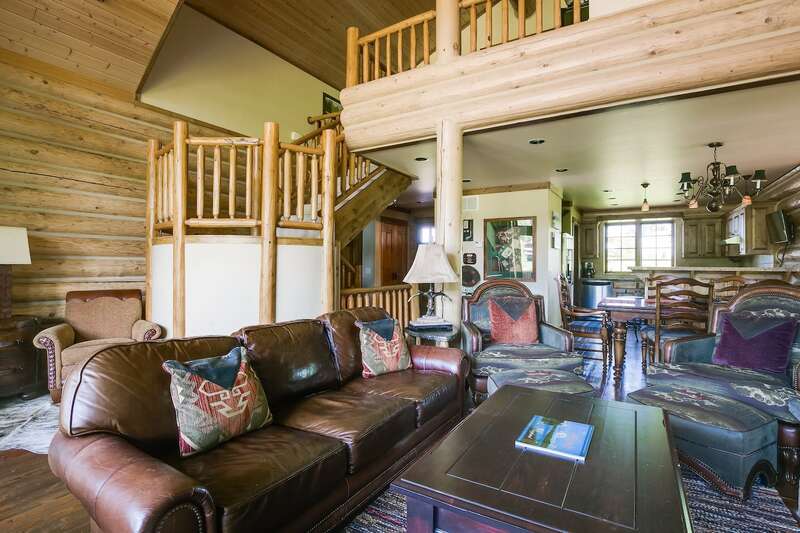 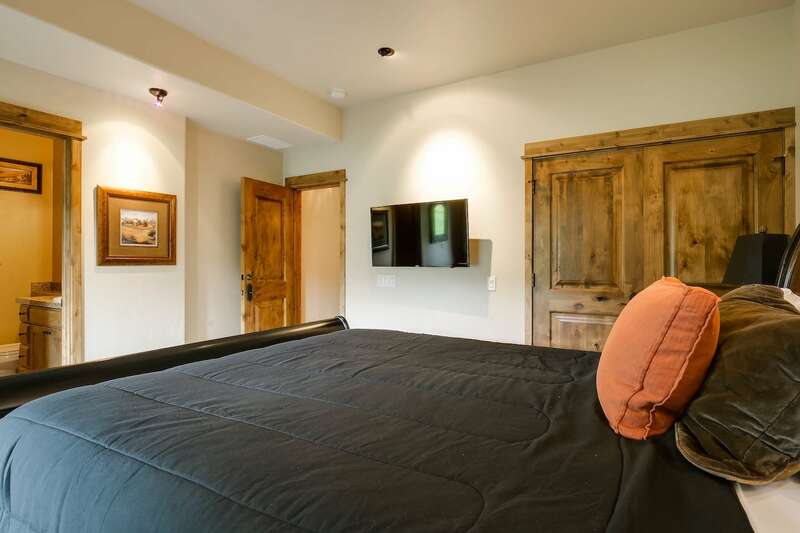 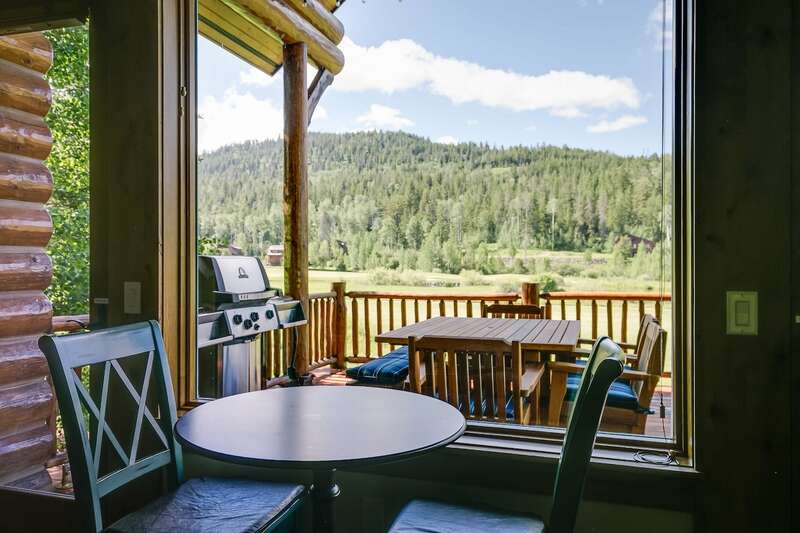 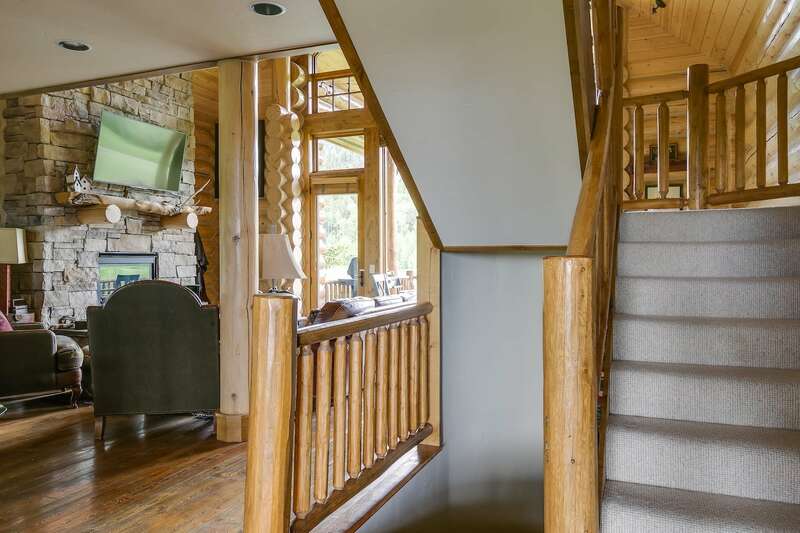 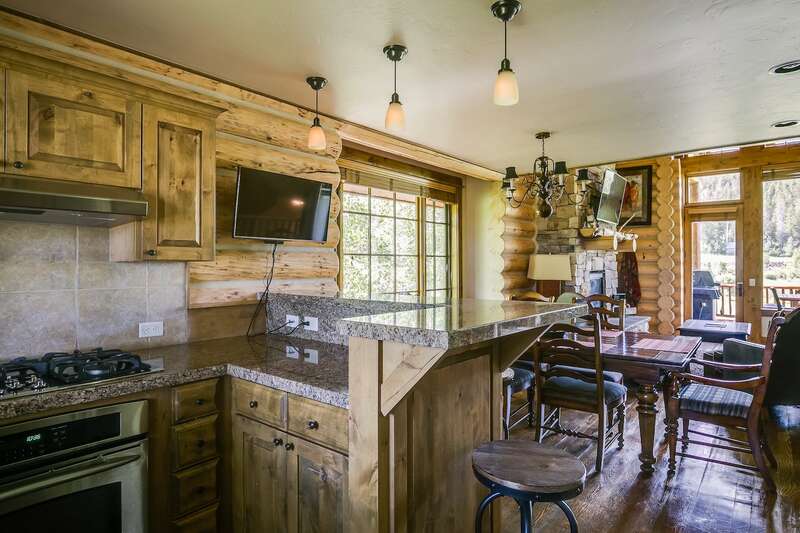 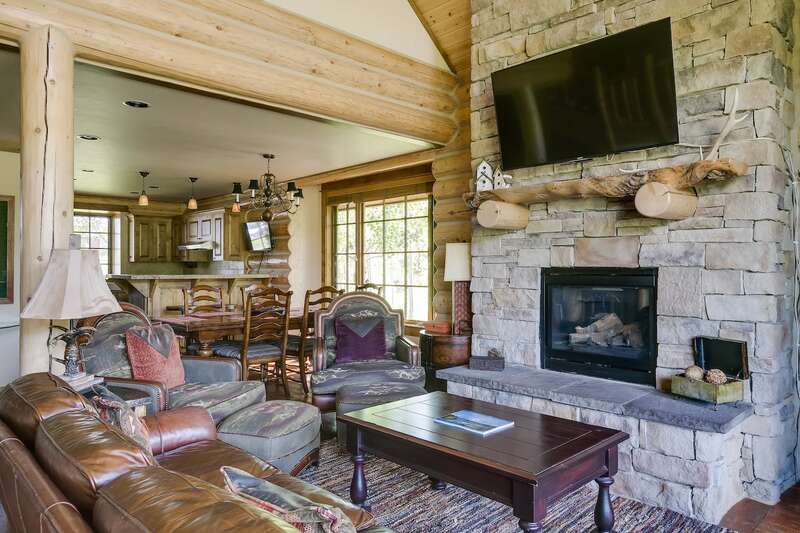 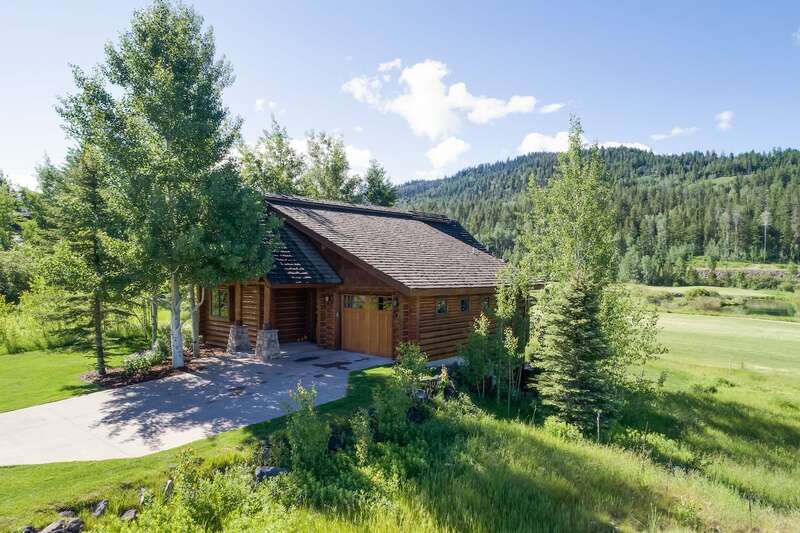 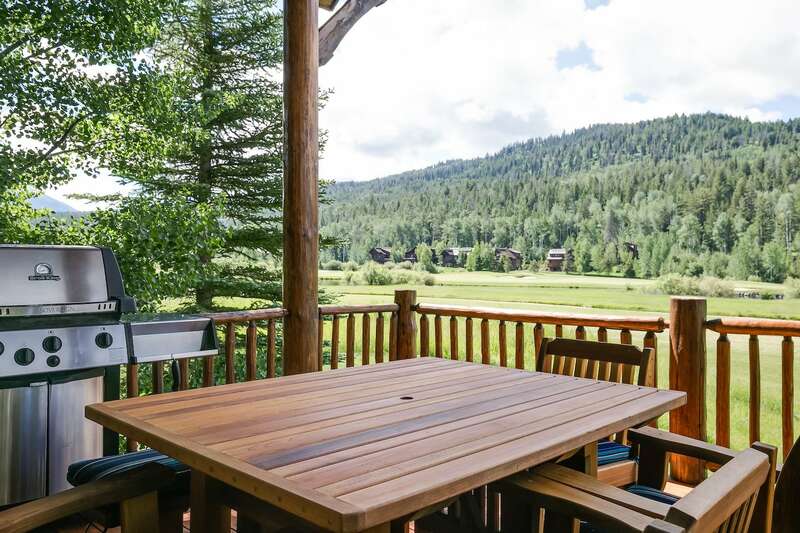 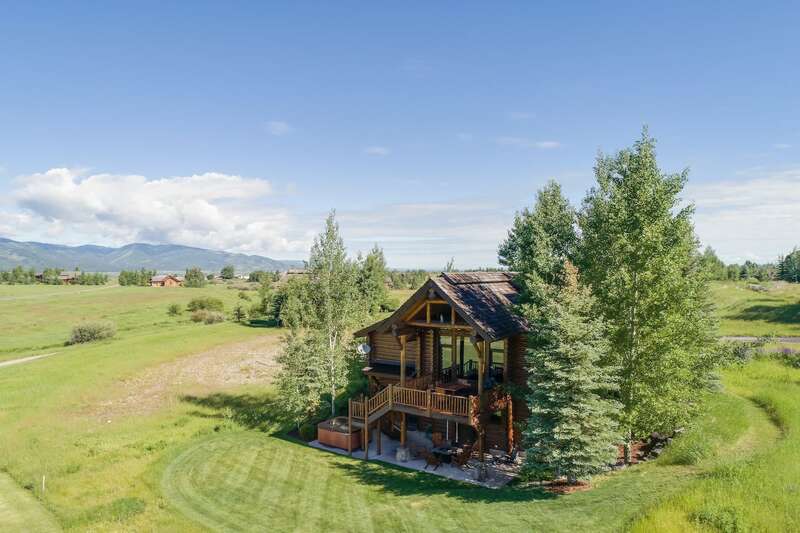 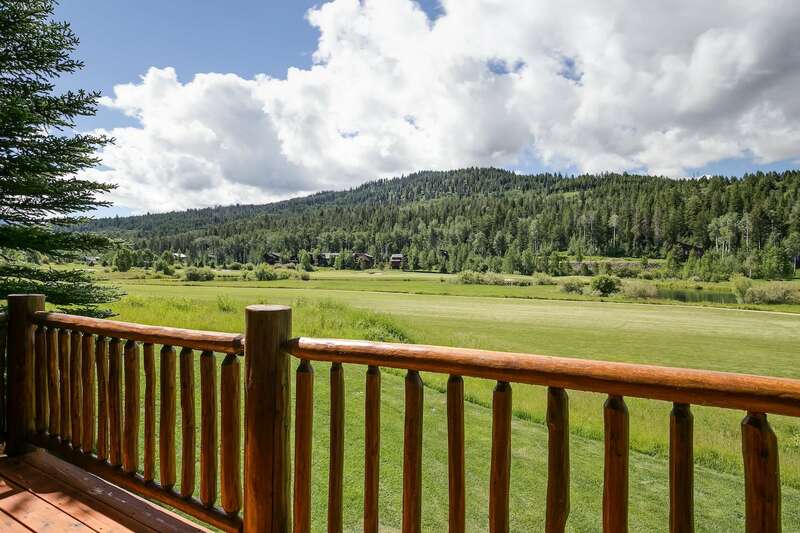 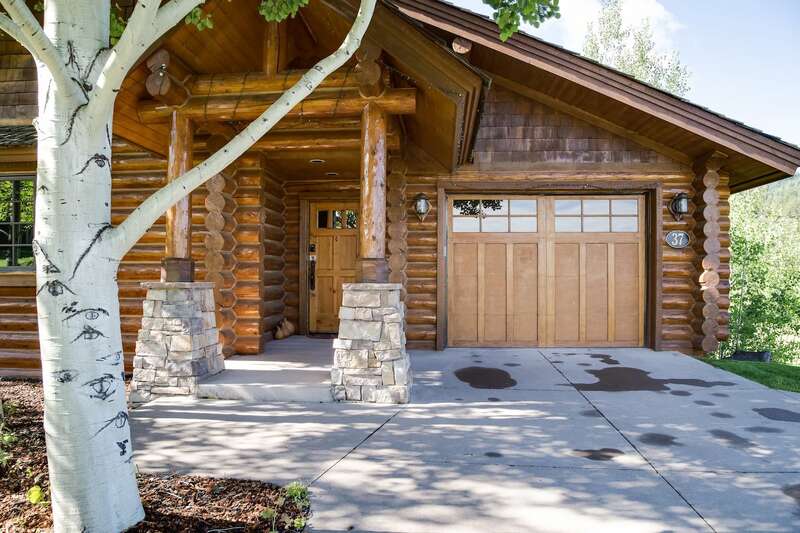 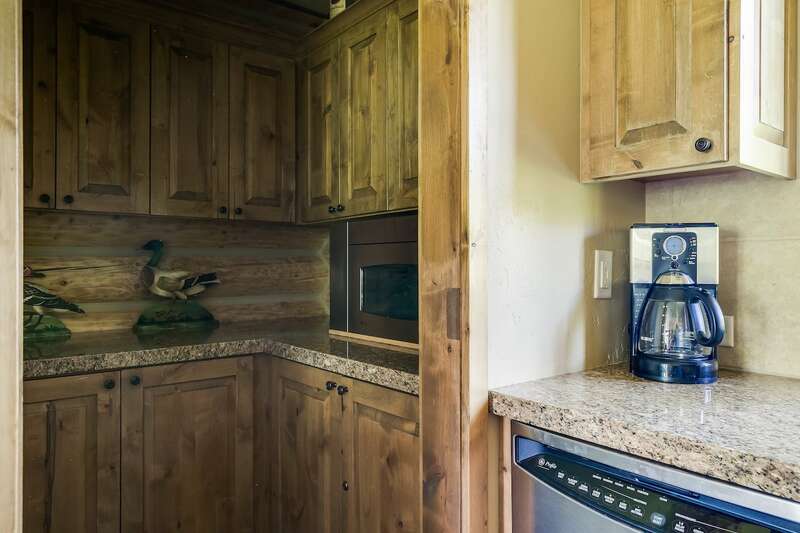 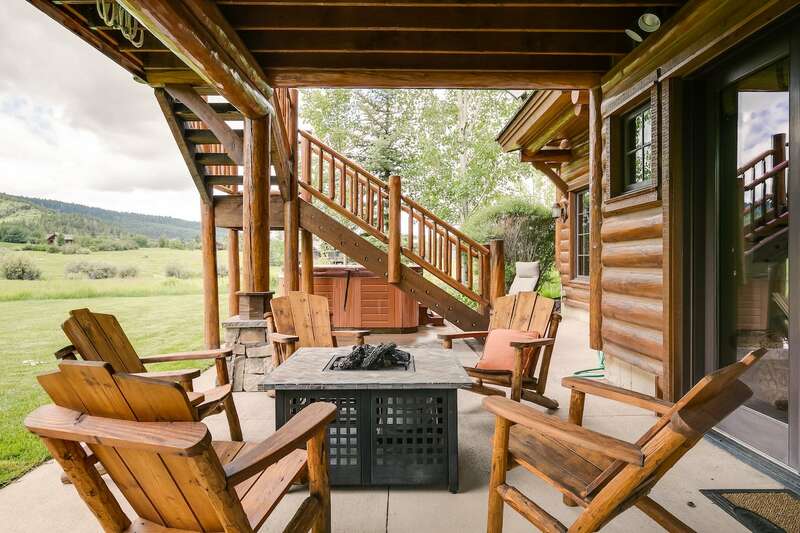 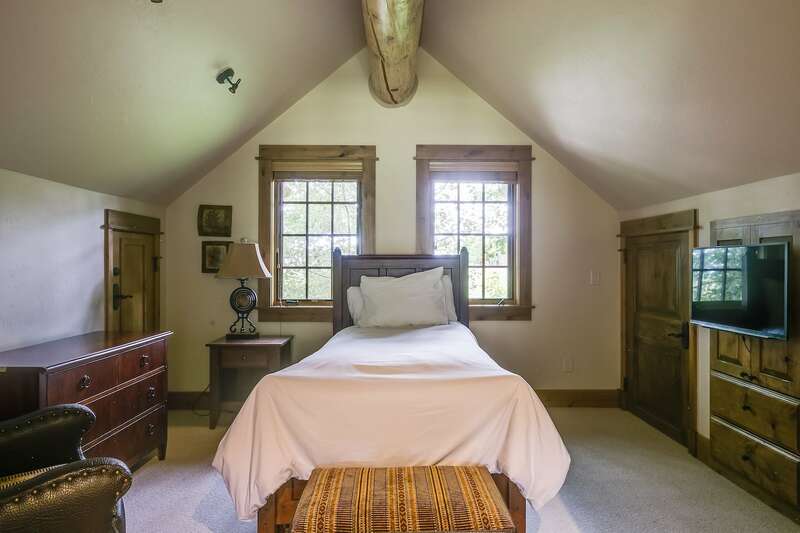 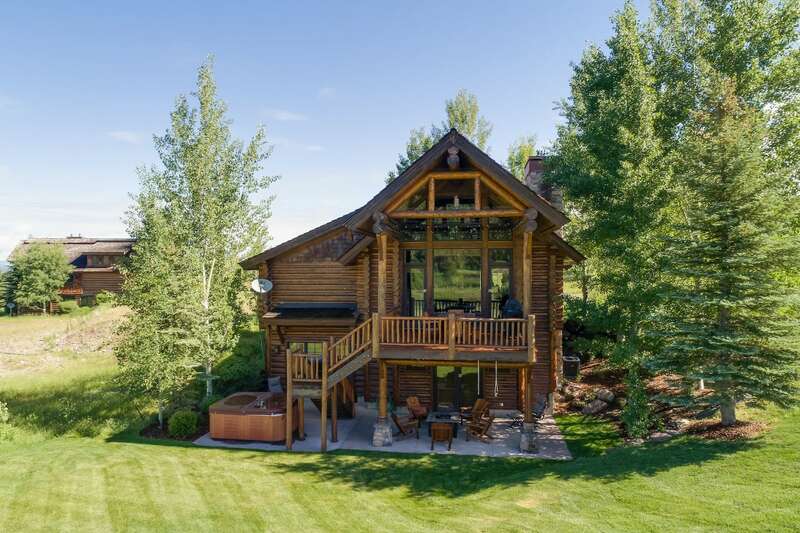 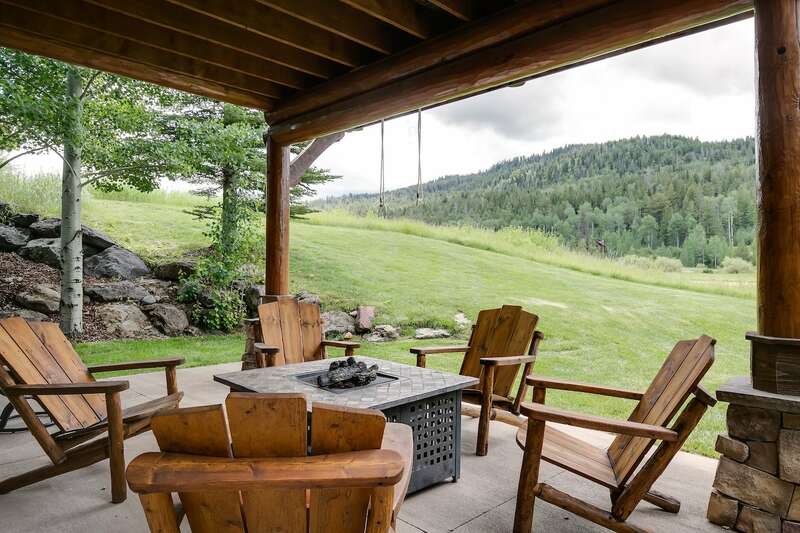 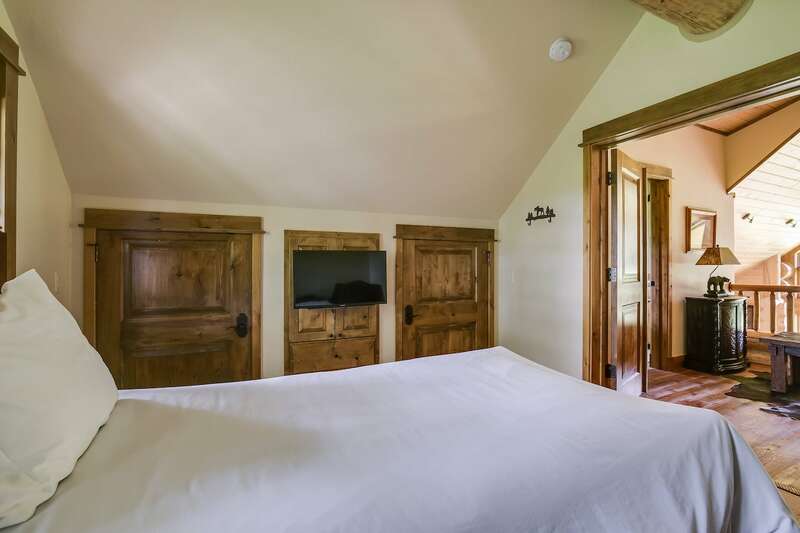 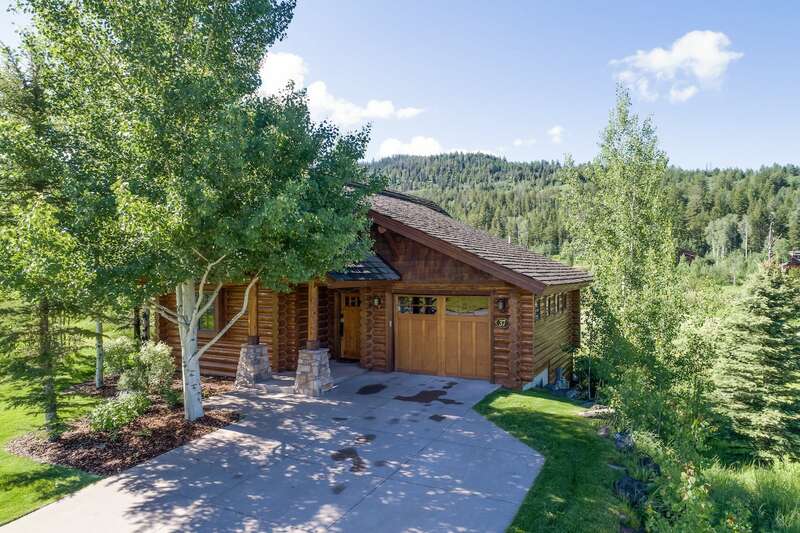 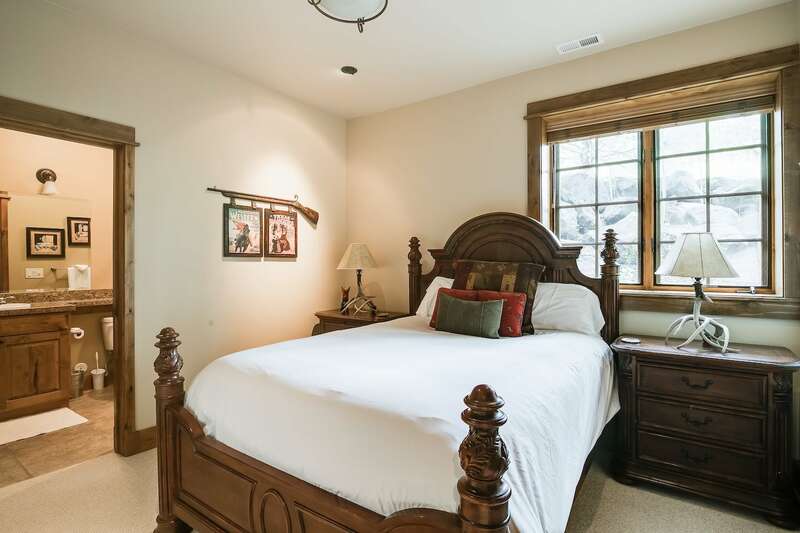 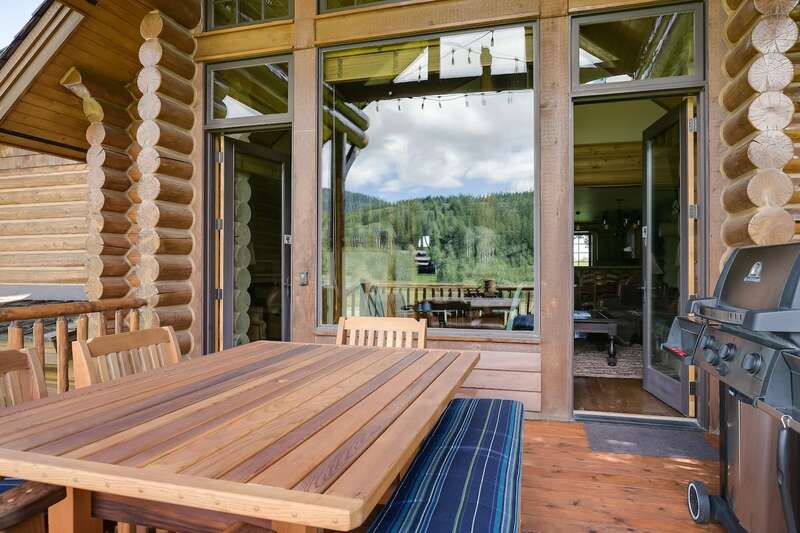 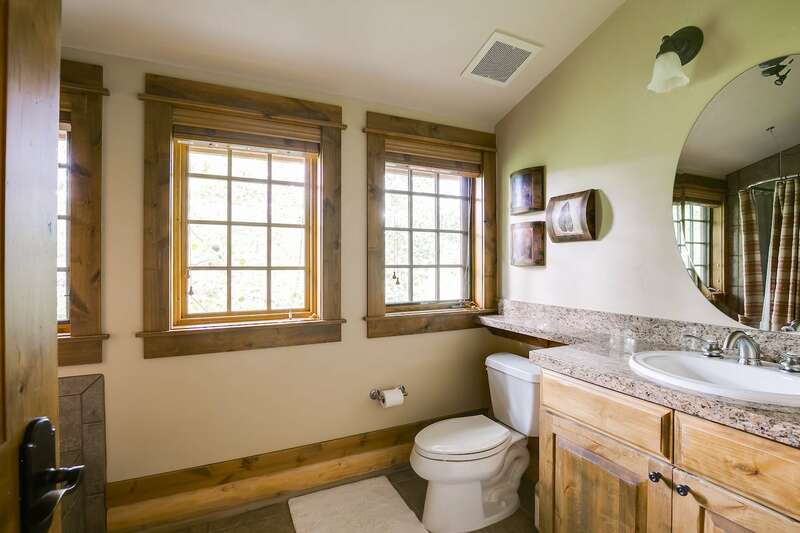 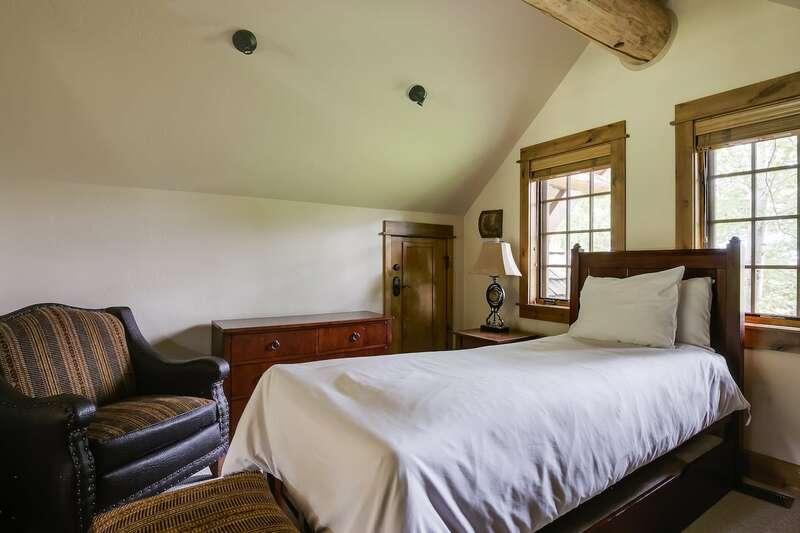 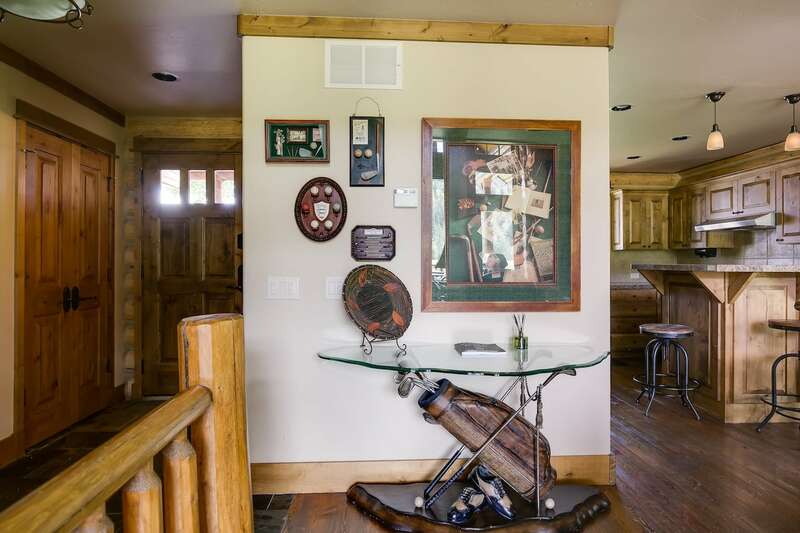 This cabin is located on Warm Creek Lane and overlooks fishing ponds, has a view of the 9th hole at Headwaters Club and Golf Course, and is within walking distance to the sports club, pool, and dining. 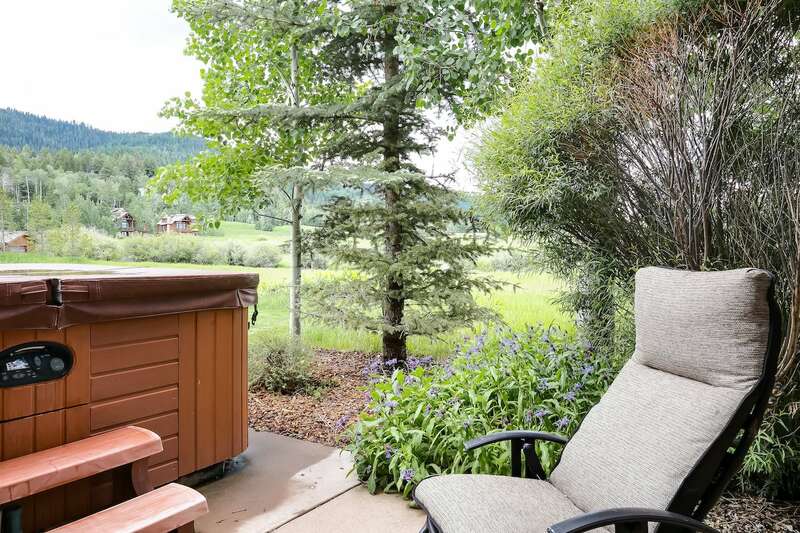 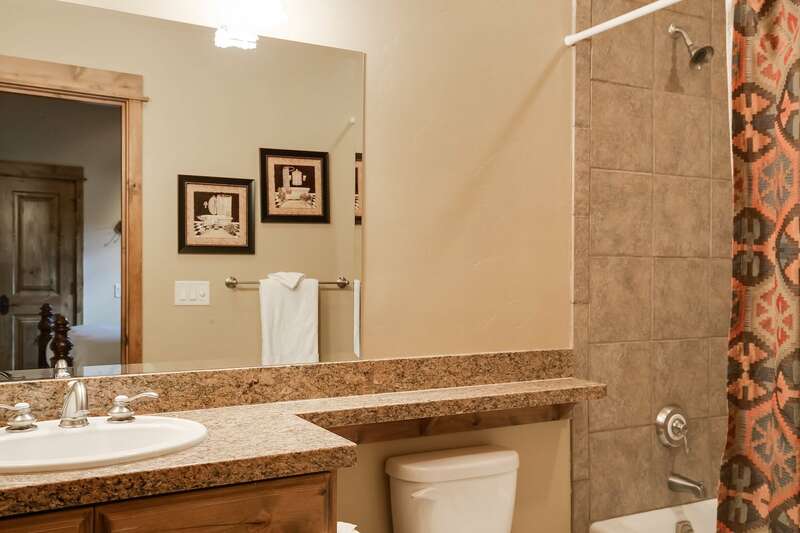 Guests can fish, work out or simply stay at the cabin and enjoy the hot tub or relax in front of one of two fireplaces. 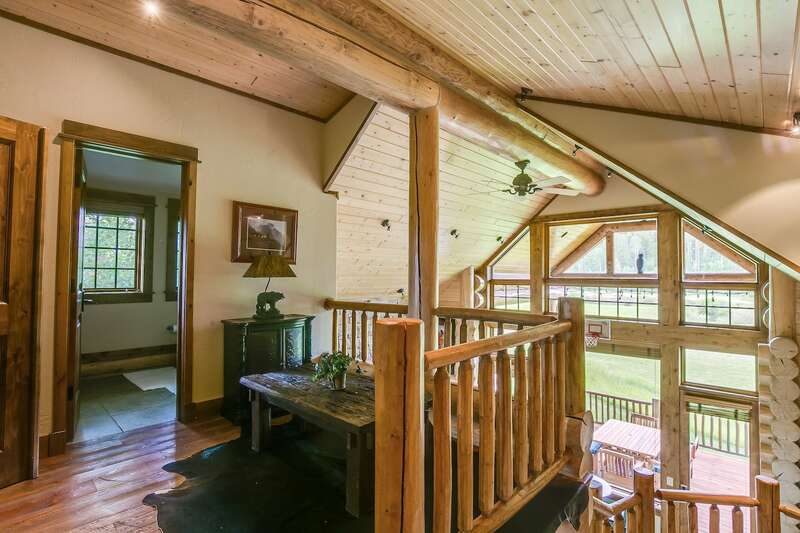 The lower level of the cabin has 3 bedrooms. 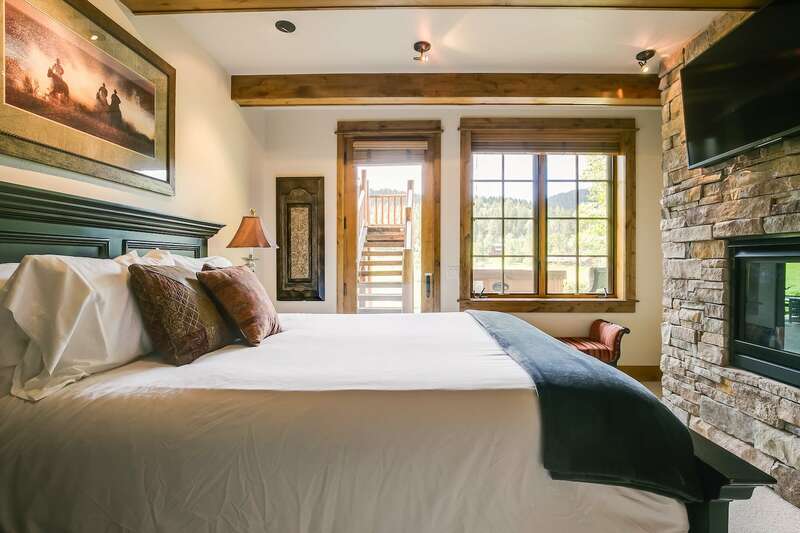 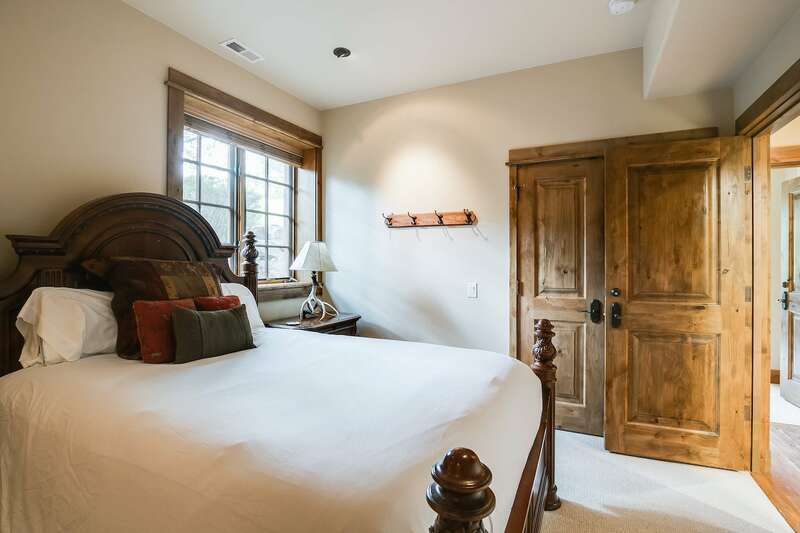 The first bedroom has a king bed with a glass walk in shower and entrance onto the patio. 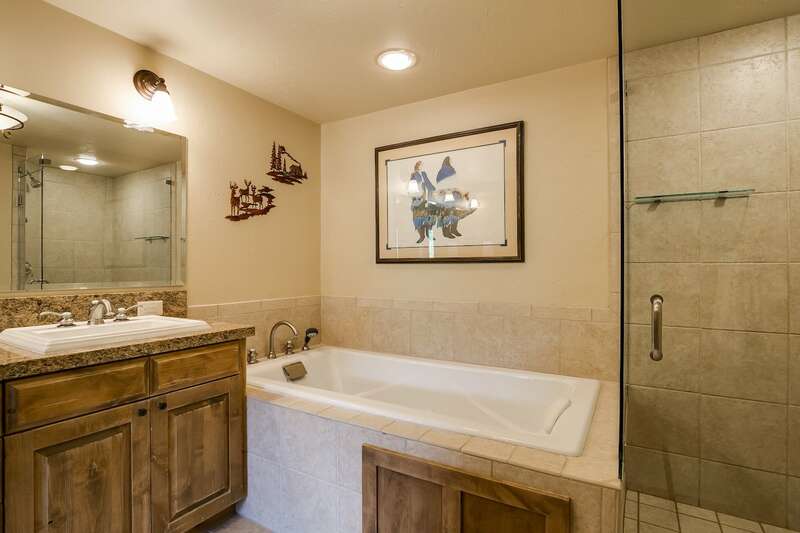 The second bedroom has a queen bed with a shower/tub combo. 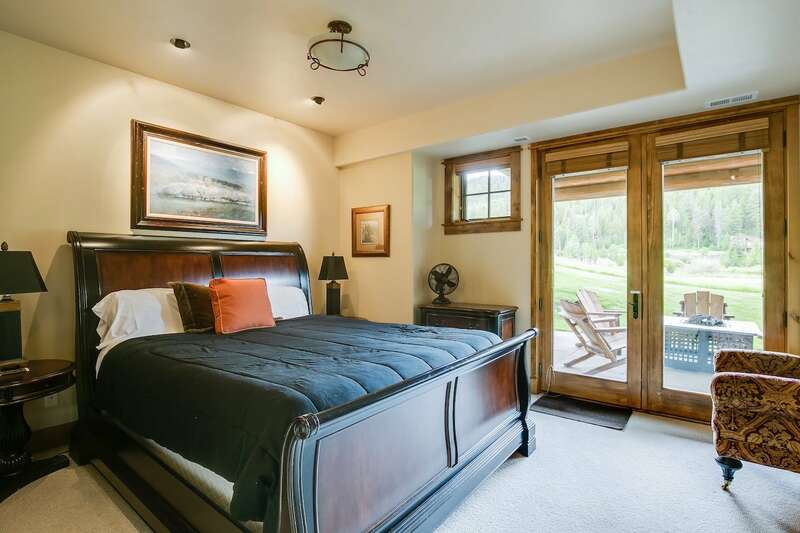 The third bedroom on the lower level has a queen bed with a large jetted tub and a glass walk in shower. 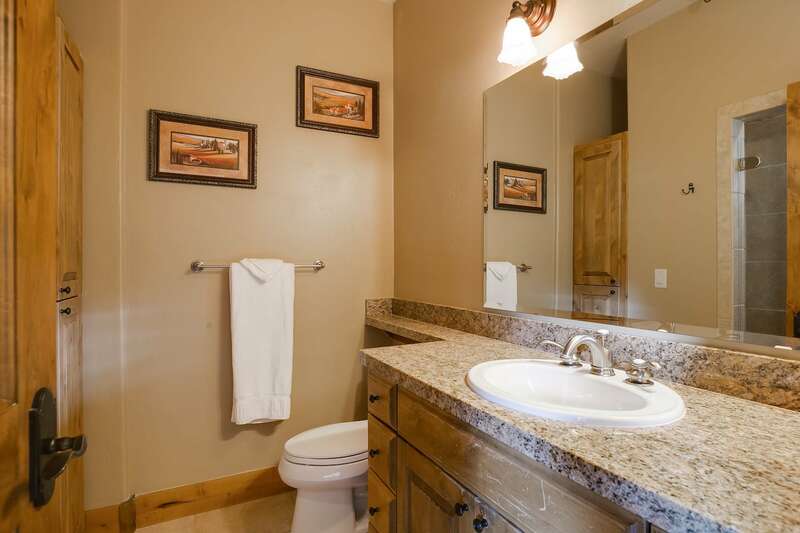 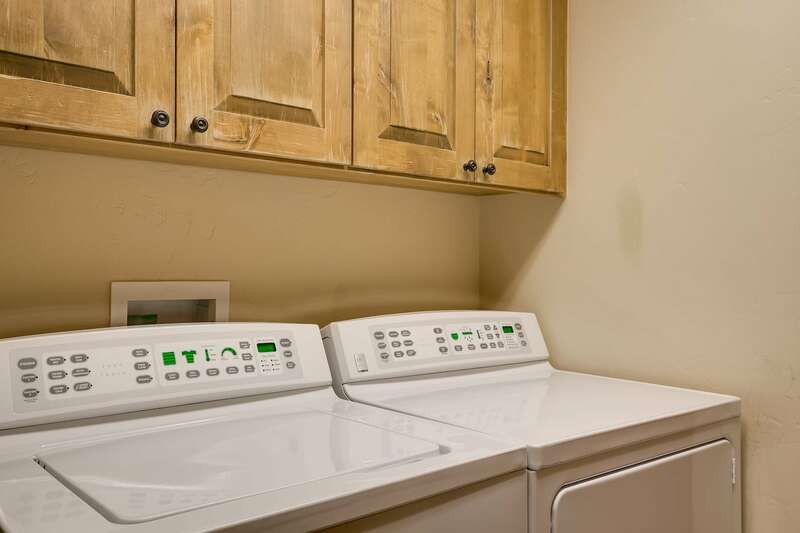 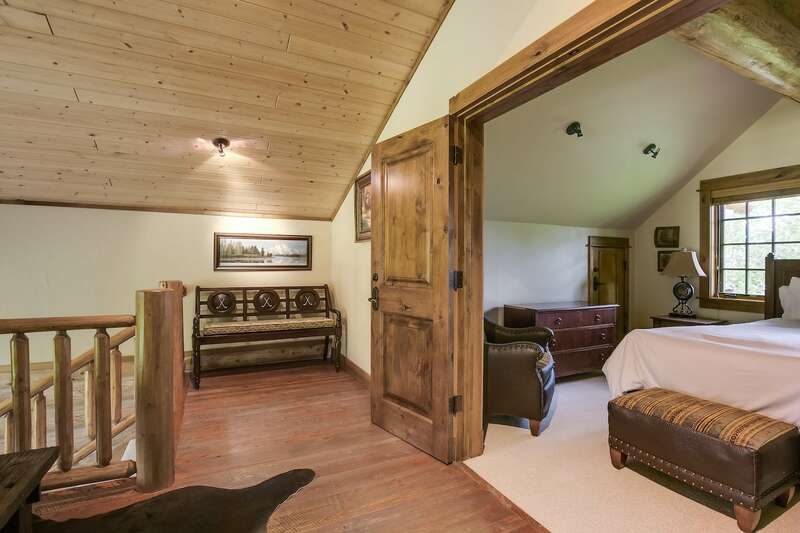 There is one bedroom located on the upper level that has a twin bed with trundle bed and shower/tub combo. 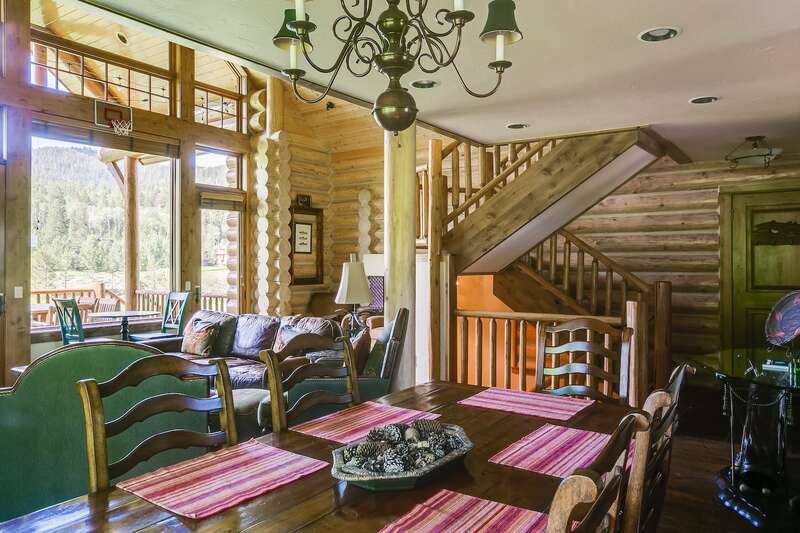 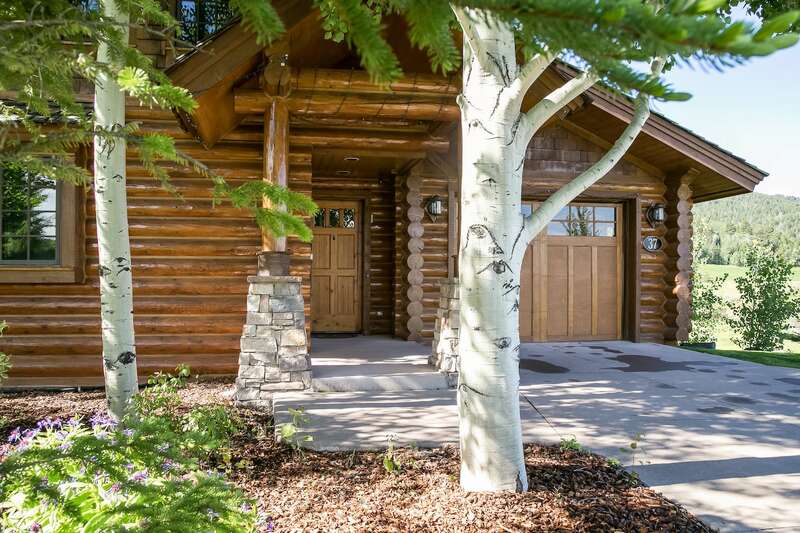 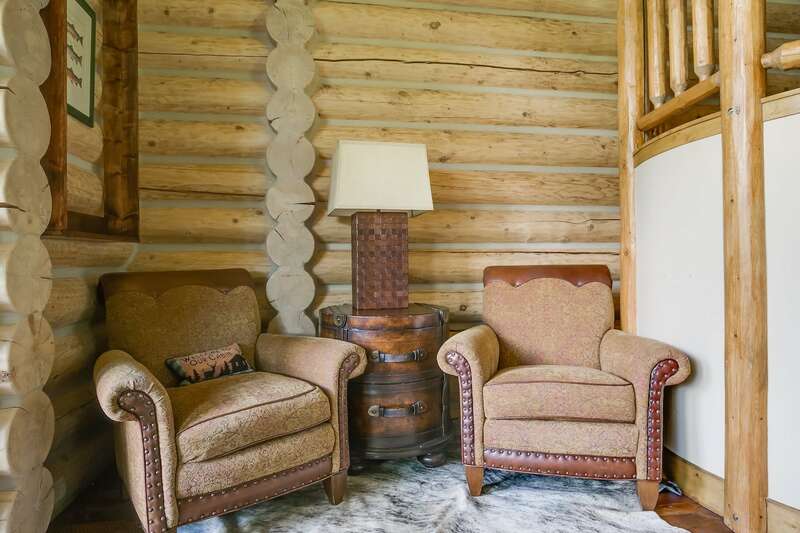 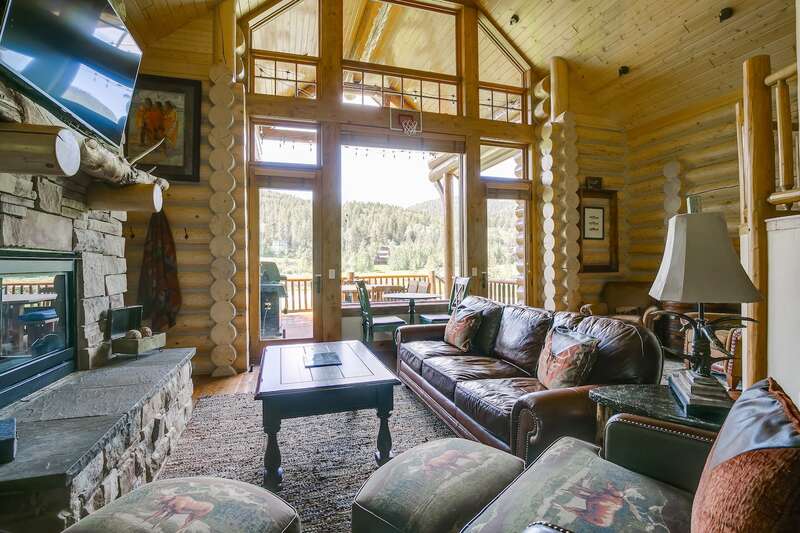 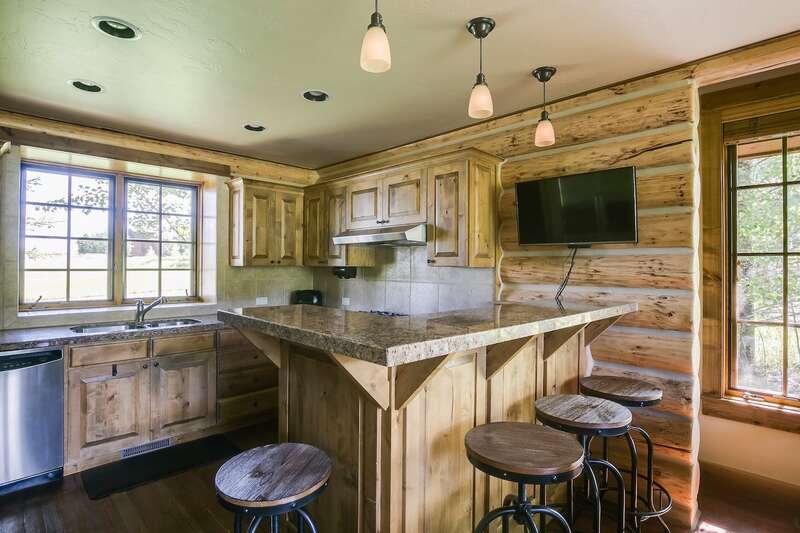 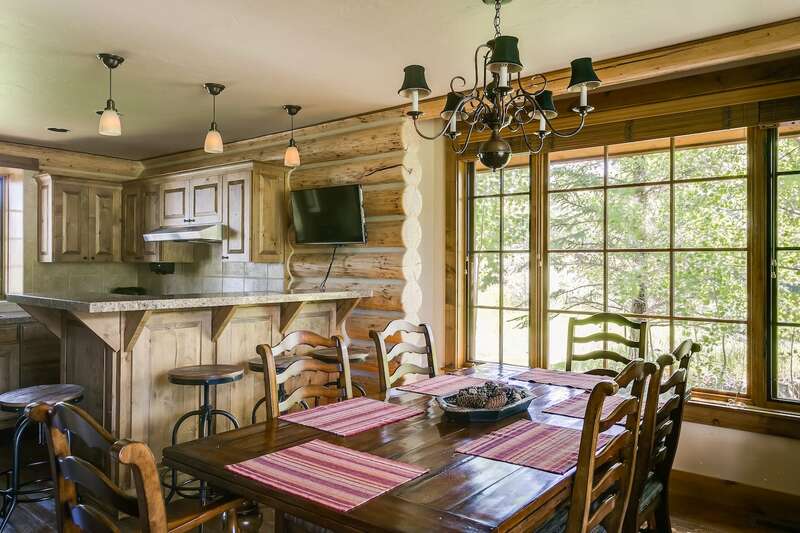 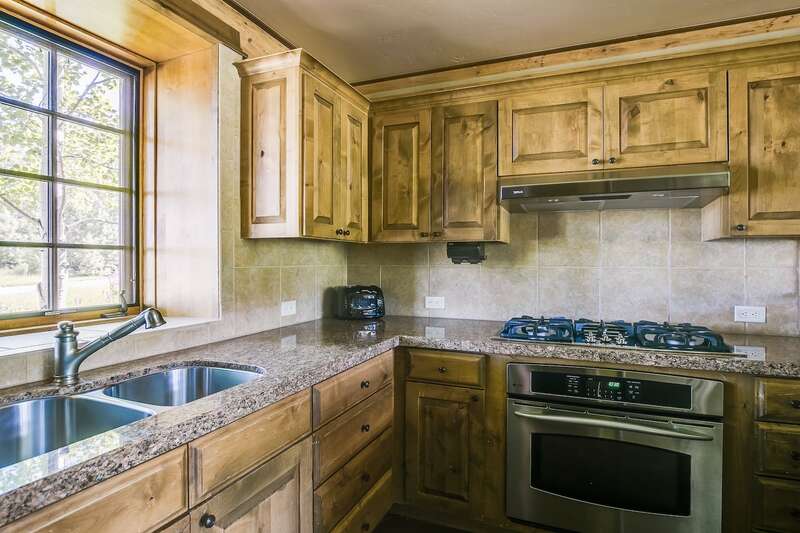 Beautiful log cabin with golf course view — short walking distance to the lodge and resort amenities.